South African rugby is entering a whole new universe in 2019 as SA Rugby, SuperSport, Vodacom and Marvel team up to bring Super Heroes to life and create an all-conquering, planet-shifting, villain-busting “Superpowered” Vodacom Super Rugby competition. Some of Marvel’s most iconic Super Heroes will join forces with South Africa’s most powerful rugby stars to turn every one of the South African derbies in the 2019 Vodacom Super Rugby season into an action-packed adventure in and outside the stadiums. In a ground-breaking collaboration between SA Rugby, SuperSport, Vodacom and Marvel, each of the South African Vodacom Super Rugby teams will be assigned a Marvel Super Hero as their look for the home derbies next season. The Vodacom Bulls kit will be emblazoned with the colours of Captain America, the Emirates Lions will channel their inner-Spider-Man, the Cell C Sharks’ kit will be inspired by Black Panther and the DHL Stormers will be wearing Thor’s colours. The kit designs will be revealed at a later stage. “Marvel Super Heroes are among the most loved and recognisable characters in the world, very much like local Vodacom Super Rugby players and clubs,” said Luke Roberts, Retail Director for The Walt Disney Company Africa. Jurie Roux, CEO of SA Rugby, said this is one of the most exciting developments to the local Vodacom Super Rugby scene in many years. 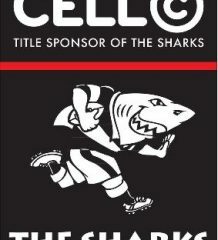 “Vodacom Super Rugby has always been about entertainment and providing supporters with something new, and in 2019 we will definitely achieve that with this exciting endeavour with Marvel,” said Roux. 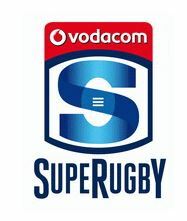 Vodacom Super Rugby fans can also expect the best in-stadium entertainment and activations that are going to inject rugby into a new “Superpowered” era in a fresh and exciting way.